Georgia Tech and the Emory School of Medicine collaborate to become one of three centers in the U.S. to receive a Whitaker Foundation Biomedical Engineering Program Development Grant. GT and Emory approve joint MD/PhD program (MD granted by Emory, PhD in bioengineering, with the understanding that a joint PhD degree would be created (this became the BME PhD from Emory/GT). Georgia Tech Provost and Vice President Michael E. Thomas and the Emory Dean of Medicine Thomas J. Lawley established an Advisory Committee of Georgia Tech and Emory faculty to address new opportunities in biomedical engineering. Don Giddens arrives from Johns Hopkins (where he chaired the College of Engineering) and returns to Georgia Tech, where he chairs the Georgia Tech/Emory Advisory Committee on Biomedical Engineering (BME) over the summer. The Committee met initially on June 2, 1997 and was charged to develop a set of recommendations for an innovative and unique Department of Biomedical Engineering that is joint with Georgia Tech and Emory and that will enable both institutions to maximize research and educational opportunities in fields of intersecting biomedical interest. The advisory committee turns in its report to the Emory Board of Trustees and the University System of Georgia Board of Regents, and a new joint BME department is approved in September. The department, first headquartered at the Petit Institute (Georgia Tech) and Woodruff Memorial Building (Emory), is chaired by Giddens. That same year (1997), the Department of Biomedical Engineering is approved and Don Giddens is named as inaugural Department Chair. Led by Ajit Yoganathan, BME maps out a unique Ph.D. academic program that will award advanced degrees jointly from Emory and Georgia Tech. Georgia Tech Biomedical Engineering Society (GT BMES) was created to promote the profession of biomedical engineering and to acquaint the student body with ideas, purposes, and objectives of the bioengineering field. Our interests extend from tissue and cellular engineering, to biomaterials and biological interfaces, to biological signal processing and instrumentation, to biomechanics, rheology, and integrative biology. First PhD and undergraduate students enroll. In 2000, the Department assumed the name of Wallace H. Coulter, who was recognized as one of the most influential engineers in the twentieth century through his entrepreneurial efforts in shaping the fields of automated cell analysis and hematology. The Wallace H. Coulter Foundation makes a $25 million landmark grant to the BME department. In recognition of the grant, the department is named the Wallace H. Coulter Department of Biomedical Engineering. 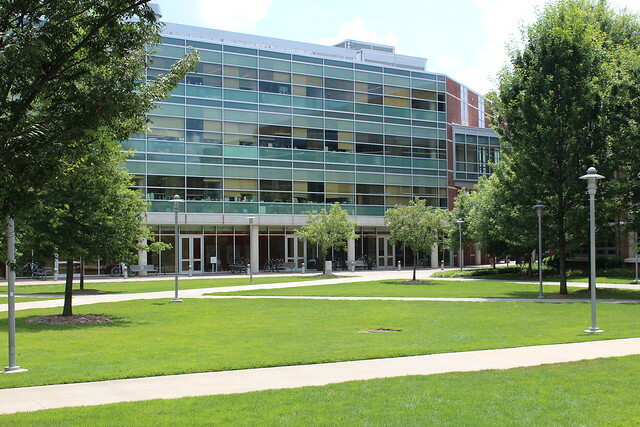 Within this grant is a unique $8 million endowment, which becomes the template for the Coulter Translational Research Partnership Program. Ground is broken for Whitaker Building, which will become the new home of BME at Georgia Tech. Meanwhile, labs and offices are renovated at Emory’s Woodruff Memorial Research Building. Don Giddens becomes dean of Georgia Tech’s College of Engineering. Larry McIntire, who had been chairing the Rice University Department of Bioengineering, comes to Atlanta to become the second chair of the Coulter Department of Biomedical Engineering on July 1, 2003 (retires July 1, 2013). First 5 students enroll in PKU joint program. The Biomedical Research and Opportunities Society was founded in 2010 and went on to become Georgia Tech's "Best New Organization" for the academic year. The Georgia Institute of Technology and Emory University have selected Ravi V. Bellamkonda, a prominent biomedical scientist and engineer, to chair their joint department of biomedical engineering. He begun as chair of the Wallace H. Coulter Department of Biomedical Engineering at Georgia Tech and Emory University in July. Launching of Master’s degree program in BioID, Sathya Gourisankar named Director of Master of Biomedical Innovation and Development (MBID). C. Ross Ethier becomes interim chair for the Wallace H. Coulter Department of Biomedical Engineering at Georgia Institute of Technology and Emory University School of Medicine starting August 1, 2016. September 2016, the BME undergraduate program is ranked No.1 by U.S. News and World Report. On May 22, 2017, Susan Margulies, Ph.D., is named the Wallace H. Coulter Chair of the Coulter Department of Biomedical Engineering (BME) at Georgia Tech and Emory University, and a Georgia Research Alliance Eminent Scholar in Injury Biomechanics. Her appointments are effective Aug. 1. On August 1, 2017, Susan Margulies, Ph.D., becomes the Wallace H. Coulter Chair of the Coulter Department of Biomedical Engineering (BME) at Georgia Tech and Emory University.